Readers and audience members pick up cues from a piece of fiction and from these they mentally create fictional worlds and their inhabitants, in a kind of inner performance. We usually consider the writer as responsible for offering the cues that the reader or audience member will pick up and use, but in theatre, film, and television, there is not one, but two phases. There is a first phase: a written script. But audiences never see it. What they see is an external performance on stage, in a film, or on television. This is the second and mediating phase, and it is from this that audience members take their cues. 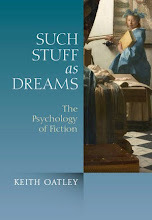 In the research of the editors of OnFiction, we have worked from the idea that fiction is simulation of the social world, so that for both writers and readers the psychological processes of creating the fictional worlds are based on empathy, theory of mind, and other kinds of social understanding. In a recent paper, Thalia Goldstein (2009) has proposed that actors—those people who offer the mediating performances—might also be people who have taken a particular interest in empathy, theory of mind, and the goings-on of the social world. Goldstein is just starting her research on the psychological development and training of actors. In this paper she describes, for instance, a study in press by her and her PhD supervisor, Ellen Winner, in which they interviewed 11 professional actors who had acted on Broadway and 10 patent lawyers about such matters as their involvement of pretend play in childhood, and their attunement to others' emotions. Actors were distinguished from lawyers in recalling higher involvement in fictional worlds and pretend play in their childhood. Reading, understanding, and then creating a part onstage, in a film, or on a TV show requires a deep analysis of the inner life of that character. To portray a character, actors must first have a genuine understanding of that individual's mental and emotional life. In other words, actors must develop a good "theory of mind" so that they can grasp the inner workings of the characters they must portray. 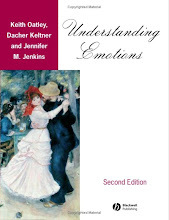 Thus it is likely that training in acting leads to advanced levels of theory of mind (p. 7). This is an exciting and innovative program of research, and we look forward to more results on actors' theory of mind, empathy, and regulation of emotions. Thalia Goldstein (2009). Psychological perspectives on acting. 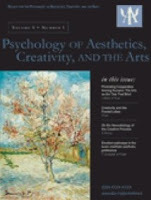 Psychology of Aesthetics, Creativity, and the Arts, 3, 6-9. Thalia Goldstein & Ellen Winner (in press). Living in alternative and inner worlds: Early signs of acting talent. Creativity Research Journal. I find this interesting and instructive, but I wonder if the study took into account the equivalent function in the mind of the audience/reader. 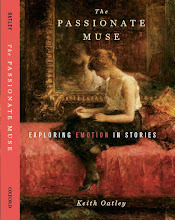 I've found that readers will attribute all sorts of background and motivations, as well as appearance, to a character, often in spite of whatever description the writer will give. A reader may clothe a character in a certain way, for example, regardless of how the writer may have dressed him that morning. I suppose our role as writers is to nudge the reader in the direction we want but then to step out of the way once the reader's imagination begins to work. Thanks very much, Paul, for this comment. 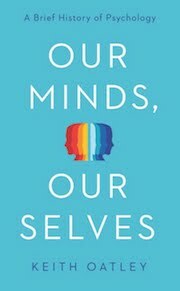 I only know about the brief report made by Thalia Goldstein in Psychology of Aesthetics, Creativity, and the Arts; but in that article there was no mention of what goes on in the mind of the audience/reader. But I completely agree with you, that the audience/reader does exactly as you say, namely put the character in clothes of his or her own, and sometimes these are not what the writer had in mind. To follow up the theatrical metaphor: the audience/writer creates his or her own inner performance. When I am writing I find it rather good that the reader will do this. I like it that this person will take over, so that the imaginative creation is a collaboration. I think being able to step out of the way at this point means we have done our job properly.